The ViewSonic ViewPhone 3 features 3.5-inch multi-touch capactivite touch screen with 320 x 480 pixel resolution display powered by 800 MHz processor with 512MB RAM and ROM and runs on Android 2.3 Gingerbread OS. ViewPhone 3 sports 5MP auto-focus rear camera. It has ViewScene 3D technology that offers unique, interactive interface and animated graphics. The ViewPhone 3 is available via Reliance Digital Outlets for INR 9,990. 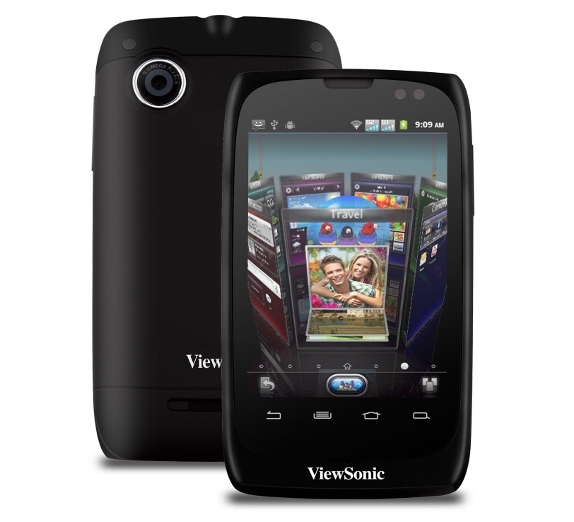 Tags:viewsonic viewphone 3, viewsonic viewphone 3 features, viewsonic viewphone 3 specifications, viewsonic viewphone 3 review, viewsonic viewphone 3 details, viewsonic viewphone 3 availability, viewsonic viewphone 3 specs, viewsonic viewphone 3 images, viewsonic viewphone 3 pics, viewsonic viewphone 3 pictures, viewsonic viewphone 3 price, Dual SIM Android phone, viewphone 3.